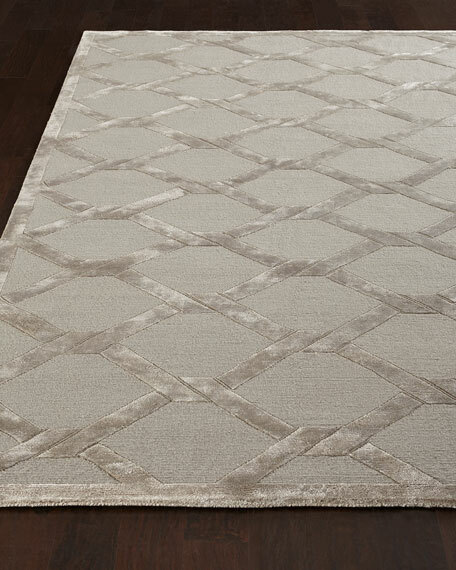 Moonlight Rug, 9'3" x 12'9"
Machine loomed of viscose/New Zealand wool. 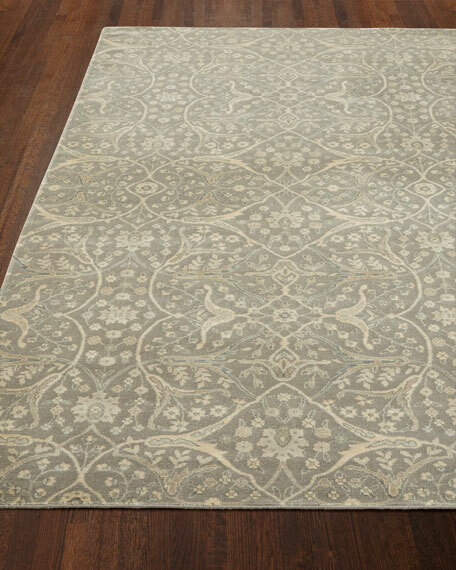 Rug hand knotted of New Zealand wool and viscose.Cotton foundation.Hand trimmed.Durable and intended for foot traffic.Size is approximate.Imported. 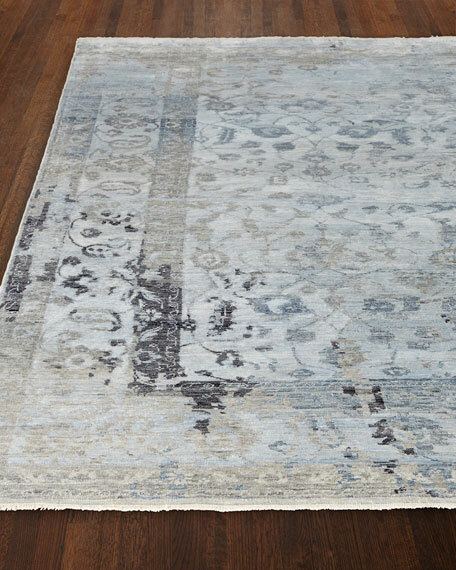 Hand-knotted rug.New Zealand wool and viscose.Hand trimmed; durable and intended for foot traffic.Size is approximate.Imported. 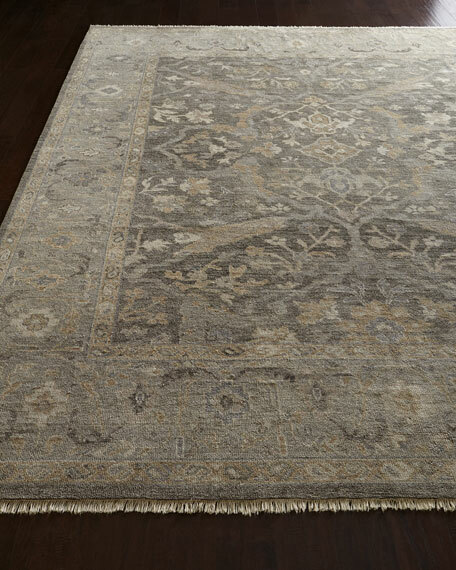 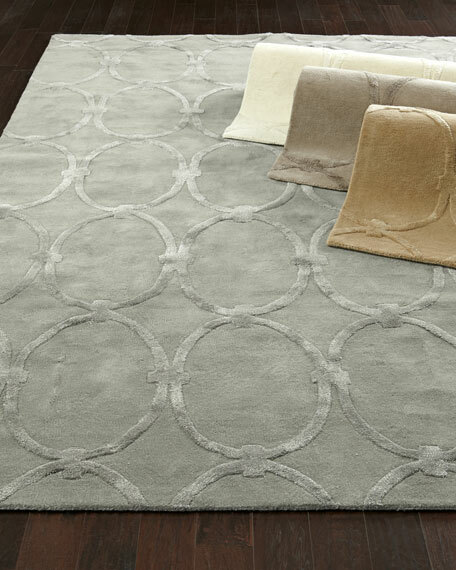 Rug features hard-twist transitional plush pile, hand-carved details, and viscose accents.Hand tufted of New Zealand wool.Viscose accents.Size is approximate.Imported.